UK rapper Little Simz is coming into her own in her third studio album, under the AGE 101 label. “I’m JAY Z on a bad day, Shakespeare on my worst days”, she raps on the album’s opening track, ‘Offence’. The track is full of witty wordplay and a wicked fast flow. The bassline on the track is distorted and gives the track an energetic feel. Simz comes off confident and cool on her latest LP. The project’s third track sports a beautiful sung hook by Cleo Sol, while the beat itself takes a departure from the opening two cuts of the record, which are more boom-bap in nature. ‘Selfish (feat. Cleo Sol)’ features a groovy bass line, and simple piano melody which complements the hook as well as Simz quick and clever bars about self-love. GREY Area is about Little Simz’ twenties and the uncertainty and fluidity that comes with being a young adult in the early 21st century. This LP is only a short 35 minutes and yet it feels so dense, due to the lyricism. Simz also addresses topics such as dealing with the death of a friend or the downfall of a relationship. Unfortunately, the hooks on this project aren’t as ear-catching as the verses themselves. There are definitely worse problems to have, as Simz’s rapping more than makes up for any of these bridges or hooks which don’t quite hit the mark. Production is mostly handled by Inflo, Simz’s childhood friend and has worked with The Kooks and Jungle previously. Sigurd and Astronote both help out on one song respectively. The production on this album is diverse and unique, with no song sounding similar to the other. 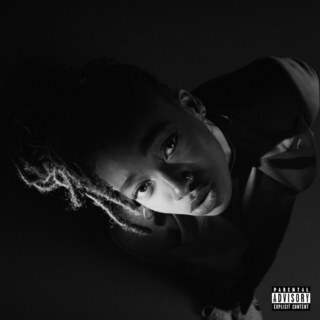 Little Simz’s third LP is a concise, but solid hip-hop record which covers a range of topics from death, love, and the overall feeling of ‘grey’ in the rapper’s struggle with living life in her twenties.